Paul Crandall & Associates Inc - Residential Roofing - Paul Crandall & Associates Inc.
We are a locally-owned company that takes pride in helping our neighbors. For over 30 years we've been helping homeowners of Wisconsin with everything from small repairs to full property refurbishment. As a licensed and insured contractor, we rely on quality materials and craftsmanship to ensure that you get the best roofing result possible. Whether your project is big or small, our roofing specialists will help you evaluate, design, install, and customize your roofing system. Our team is trained to properly install and maintain a variety of roofing systems - learn more below. When it comes to protection and design, you don't have to choose. Our team and partners will help you get both. There are many choices to consider when updating or installing a new roof. While a new roof allows you to upgrade your home's look, style, and color - it's also important that your new roof offers you long-term protection and is up to code. Our team will work with you to determine the best choice and help elevate the exterior of your home to the next level. In addition, we also offer gutter and siding installation. ​Asphalt shingles affordable price point and easy installation makes them one of the most popular roof systems in the industry. It's easy to match your home, whether contemporary or traditional, since asphalt shingles come in a variety of colors and are available in a variety of aesthetic styles: three-tab, laminated or architectural, and premium. Asphalt shingles are lightweight making them a good choice for both low and steep roofing. With proper installation and maintenance, repair or replacement is easy and asphalt roofing can last up to 30 years or longer. Metal Roofs are available in various styles such as, standing seam panels, shingles and stone coated galvalume shingles. Additionally, we offer flat seam assembles in stainless steel, copper, zinc, 24ga prefinished and aluminum. 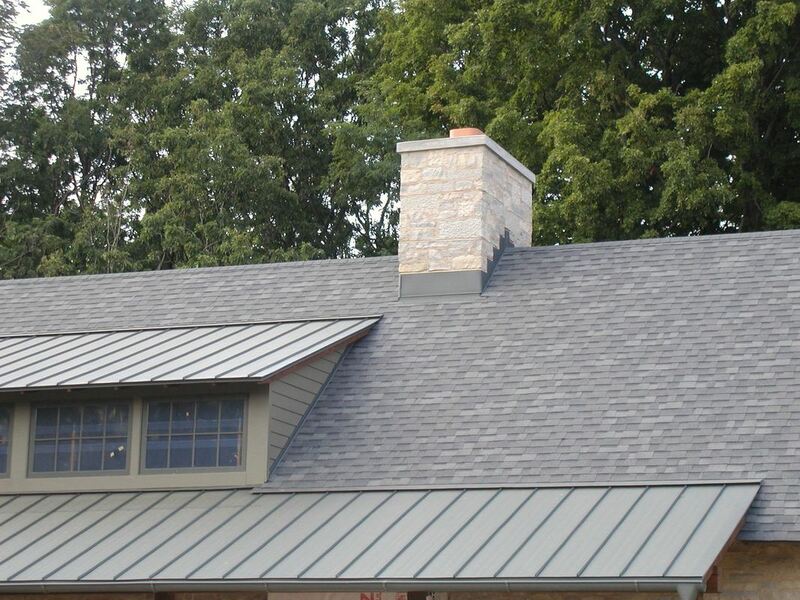 A metal roof is extremely durable and can withstand decades of abuse from hail, high-winds, and heavy snow. While a metal roof may cost more upfront, they often have double the life-span of asphalt or wood roofs. In addition, metal roofs offer high insulation solar reflectance, keeping your home cool in the summer and warm in the winter. 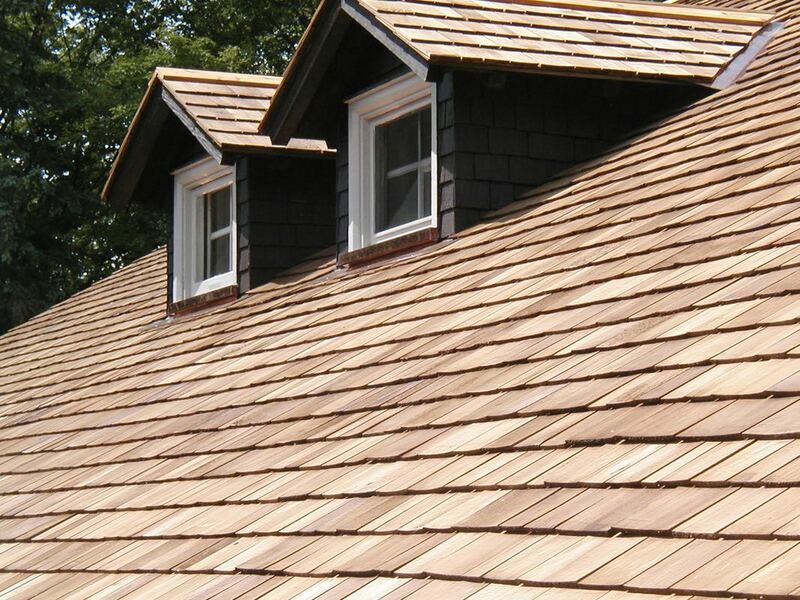 ​Wood shingles and shakes have been used for centuries as a roofing material. Crafted from hardwood such as cedar or redwood, a wood shingle and shake roofing system gives your home a rustic and natural appearance. A wood shingle and shake roof offers superior performance against strong winds and heavy hail. Wood shingles do have some limitations (crack, mold, and warping) however, with proper maintenance and care a wood shingle and shake roof can last up to 40 years. View the Gallery for more pictures. Wood shingle and shake roofing can last 30 - 40 years with proper maintenance and care.